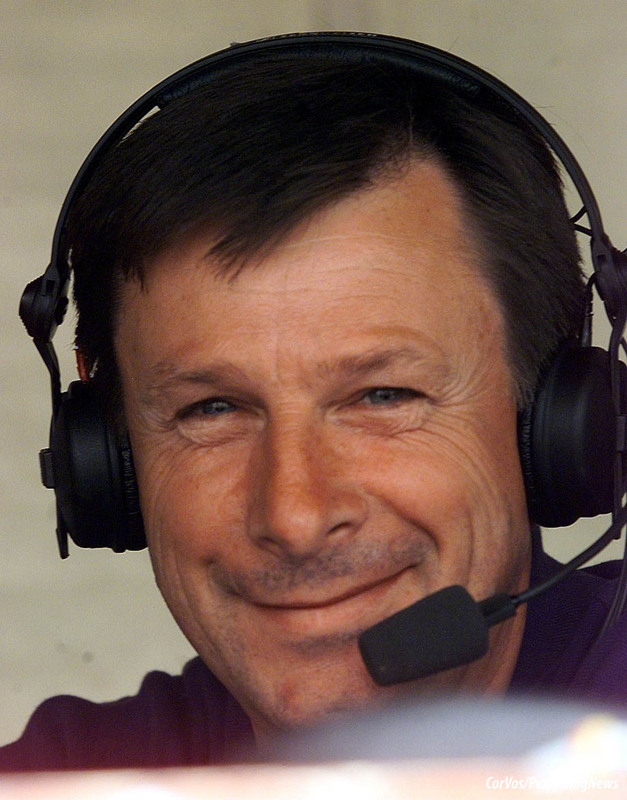 The loss of Paul Sherwen will be felt by many. There will be a full obituary on PEZ soon, but our first reaction is here. Burgos-BH suspends its self - Top Story. 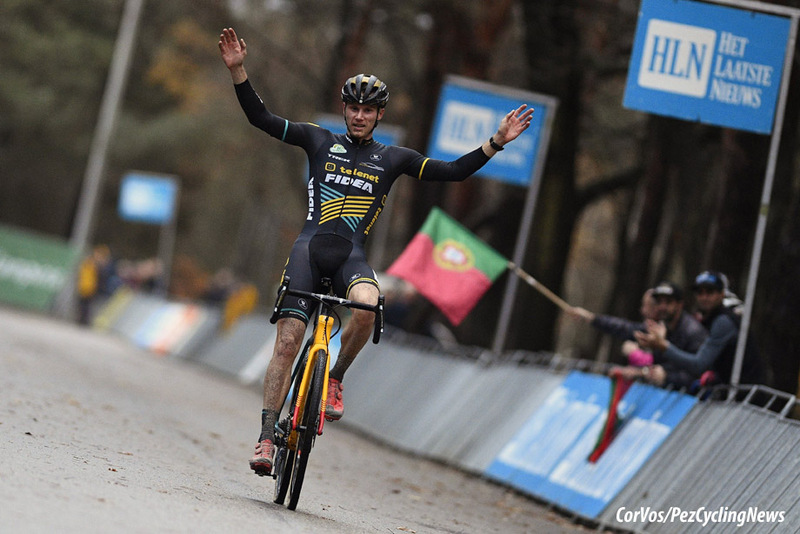 Cyclocross from Hasselt and Mol - Results and video. Quintana on the Movistar 3, Roompot-Charles presentation, Sagan looking at Yorkshire, cross for Stybar, Heulot to Rally, Nokere Koerse course, Wanty development, Dunkirk 6 stages, Landa Giro/Tour, Sky kit, Canyon-DHB 2019, BMC sum up and sponsor for Contador team. The Spanish ProContinental team, Burgos-BH, has given itself a short three week ban after three of their riders were found positive in drug controls. You can read the report in last week's EUROTRASH HERE. During the months of January and February, the Burgos-BH will not line-up for any races. Julio Andrés Izquierdo, general manager of the team, explained: "We have decided to voluntarily suspend our competitive activities for three weeks. We want to dedicate this period to preventing doping and creating self-awareness." During the period, riders and team members will talk to anti-doping experts and other colleagues who are convinced that the sport can do without doping. "It is essential for us that all riders and employees understand that the importance of a clean sport has to dominate and that there is no room for cheaters. We want to be a reference in this area," says Izquierdo. Thanks to the voluntarily imposed suspension, team misses la Tropicale Amissa Bongo and Challenge de Mallorca. The UCI has already transferred the case of Burgos-BH to the disciplinary committee, because Ibai Salas and David Belda have already been punished. Both riders received a four-year suspension. Igor Merino was also found positive and will be suspended from June 13, 2018 to June 12, 2022, this is the third suspension for Burgos-BH within a year. The three cases could mean a maximum suspension of one year for the team, but Burgos-BH wants to send a positive signal to the UCI. Kevin Pauwels (Marlux-Bingoal) was the surprise winner of the Hasselt Grand Prix on Saturday. The Belgian dominated the entire race and was able to celebrate his victory at the finish with a big lead. Behind him; Jens Adams (Pauwels Sauzen-Vastgoedservice) and Eli Iserbyt (Marlux Bingoal) took second and third places on the podium. With Mathieu van der Poel, Wout van Aert and Toon Aerts all training in Spain, it was down to the others to make the most of it. Tim Merlier (Crelan-Charles) and Pauwels were the first in the lead from the start line. Behind them a chase group formed with David van der Poel (Corendon-Circus), Tom Meeusen (Corendon-Circus) and Iserbyt, they soon made contact with the leading pair. Then it was Pauwels, Iserbyt and Van der Poel who took the lead, which Pauwels used as a springboard for his move to drop the others. The Marlux-Bingoal pushed on and soon had a lead of 20 seconds. Adams put up a solo chase after leaving Van Kessel, Meeusen, Iserbyt and Van der Poel to fight for third place. In the final laps, the first and second place of Pauwels and Adams were in no danger, and Pauwels had a lot of time to celebrate his first win in more than two years, his last win was in February, 2016 in Oostmalle. Iserbyt was too strong for the others chasers to take third. 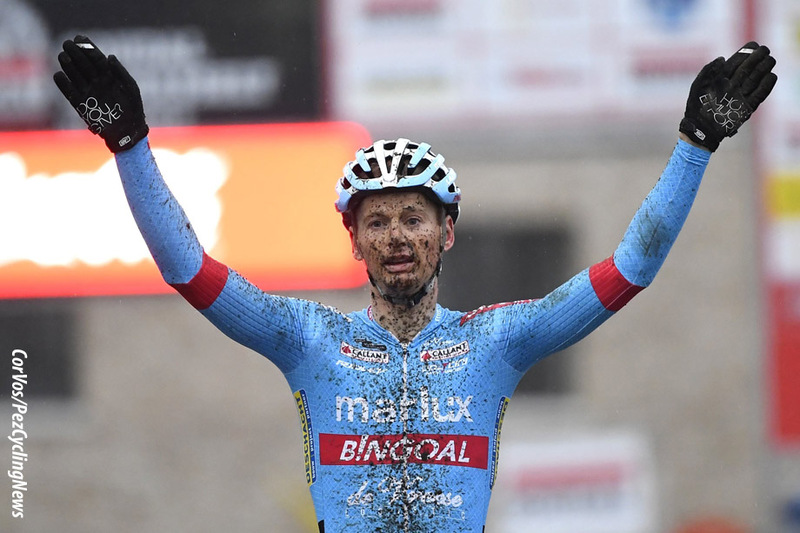 Race winner, Kevin Pauwels (Marlux-Bingoal): "It's been two or three years since I won, it was time for me to win again, this is a boost for the rest of the season. The course is good, because I already win for the fourth I did not expect to win here, and certainly not that I would drive away so quickly, I'm going to train well in Spain and I'm trying to keep this level." 10. Jim Aernouts (Bel) Telenet-Fidea Lions at 1:34. Corné van Kessel (Telenet Fidea Lions) won the Zilvermeercross in Mol on Sunday. The 27-year-old Dutchman showed himself as the strongest on the flanks of the Zilvermeer with his Telenet-Fidea teammates Jim Aernouts and Thijs Aerts taking 2nd and 3rd. Last year's winner, David van der Poel (Corendon-Circus) finished fourth. The field in Mol was not great for a television cross. Just like Saturday in Hasselt, the top-5 of the UCI ranking - including Mathieu van der Poel and Wout van Aert - was not on the start line - All training in Spain. Also Saturday's top-3 - Kevin Pauwels, Jens Adams and Eli Iserbyt were not present. Sieben Wouters, Thomas Joseph, Dieter Vanthourenhout and Diether Sweeck all saw their chance and went from the gun, but by the second lap a group of five broke away. The Telenet-Fidea trio of Corné van Kessel, Jim Aernouts and Thijs Aerts were joined by Beobank-Corendon teammates Tom Meeusen and David van der Poel. In the sand sections the Corendon-Circus riders made mistakes and had to chase back each time. They managed to hang on until three laps to go. Van Kessel was riding very well in the sand and Meeusen lost half a minute very quickly as Van der Poel was also distanced. Van Kessel rode solo for three laps with Aernouts and Aerts following on in second and third places filling the podium with Telenet-Fidea jerseys. Race winner, Corne Van Kessell (Telenet Fidea Lions): "Yesterday was a big disappointment, but today was better. This was a nice team game, with three on the podium it's great. I raced well through the sand a few times and therefore came first without wanting it. Jim and Thijs have also rode hard a few times. In the end it was the right choice. I am very happy with our three on the podium. It is the second time that I have experienced it. Tonight I am leaving for the airport, tomorrow morning I fly to Mallorca for a short training camp." 10. Jarno Liessens (Bel) Creafin Tüv Sud. Nairo Quintana prefers not to go with three leaders to the Grand Tour, as his team Movistar did in the Tour de France this year. Movistar plan to take the Colombian, plus Mikel Landa and Alejandro Valverde as leaders to the French race. "I do not like to race with three leaders," he told France 24. Eusebio Unzúe, Movistar's manager, want's his top men to spearhead the team in France in July. "He is convinced that it can work," says Quintana. The team went to the Tour de France with high hopes, but Landa (7th), Quintana (10th) and Valverde (14th) didn't fair too well. The Colombian's 2019 season, which will be dominated by the Tour de France, starts with the Vuelta a San Juan and the Tour of Colombia. The Movistar leader sees a lot of opportunities in the fight for the yellow jersey, especially in the mountain stages. "There are quite a few mountains that are in our favor, especially those at high altitudes." Quintana has been racing for Movistar since 2012, but his contract runs out at the end of 2019. What his future will look like in the coming years, he does not know. "We are already looking forward to the future, of course, but at the moment we are thinking of the great season that lies ahead with this team, which has always treated me well." Roompot-Charles Cycling Team was introduced to the press in Kamperland, Zeeland (the Netherlands) this Thursday afternoon. The present journalists were shown the new jersey for 2019 and given the opportunity to meet the management, staff and riders of the Dutch-Belgian organization during an informal lunch. 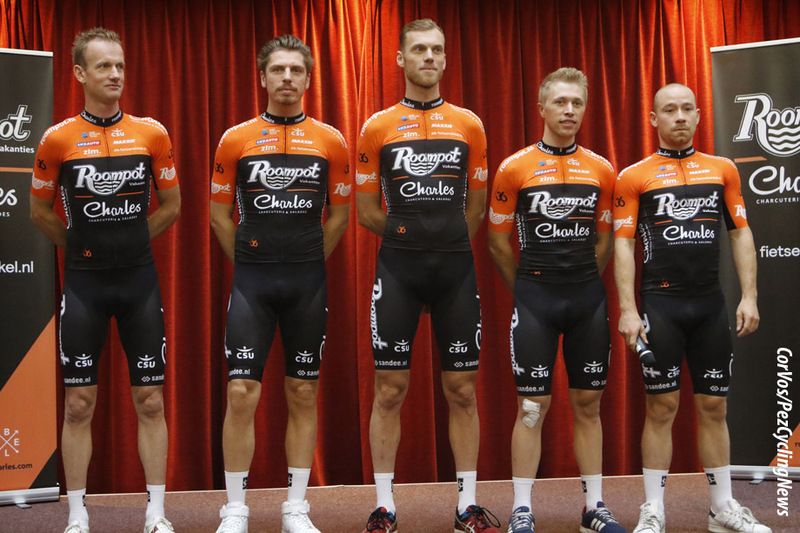 Two months ago, Roompot-Charles Cycling Team was announced as a Pro-Continental cycling team for 2019, an ambitious and professional team with a Dutch and Belgian background supported by naming partners Roompot Vakanties and Charles. Today, November 29, the sports press was given further information about the project during a lunch with Charles products in Roompot holiday park Noordzee Résidence De Banjaard. Journalists were given the opportunity to get to know all the staff and riders, including the newcomers. The press presentation was part of a three-day meeting and team building of Roompot-Charles Cycling Team at the Roompot Beach Resort in Kamperland, which includes i.a. a bowling session, a photo shoot and some collective training rides. The goal of the three-day event is to give the riders and staff the chance to get to know each other in the build-up to the upcoming season and the team’s training camp in Spain in January 2019. "We are a young organization with a group of very enthusiastic and motivated riders and employees", says Michael Zijlaard, who will be in charge of the day-to-day management of the team together with Nick Nuyens. "We want to show ourselves to the world in a positive way: open, sincere, no-nonsense! We are committed to continuously raising the bar. We want to be a progressive player in the cycling world and keep pushing our boundaries. On the road, but also in the development of our identity, a team identity that puts fan experience at the very centre of it all." "We want to stay close to cycling fans, for example by proactively entering into a dialogue with them, by organizing all kinds of events and activities and by communicating openly with the cycling community. We want to feed the fans’ experience around our team on a daily basis. We want to give cycling enthusiasts the chance to experience cycling and races in a fun way. Together we are one big family, connected through our love for cycling", says Michael Zijlaard. Nick Nuyens: "What makes the team unique is the combination of cyclo-cross and road cycling. We are Roompot-Charles Cycling Team on the road, but we live under the same roof as our cyclo-cross team 'Charles’. The strength of this project also lies in the combination of the best elements of both teams, a logical combination with a lot of common ground. Roompot-Charles Cycling Team is in other words a team where professionalism and ambition go hand in hand with openness, authenticity and fun." Ceramic Speed, and SRM as technical partners for the upcoming 2019 racing season. Unlike traditional sponsorships, Roompot-Charles Cycling Team will be working with our technical partners' engineers every day, playing a key role in extracting the maximum possible performance out of our racing equipment. Furthermore, our riders will be actively involved in product development testing for Factor Bikes and our technical partners, with the goal of leveraging feedback from top-tier professionals to help fine-tune performance characteristics across all product types and categories. "In sporting terms, we want to continue to build on the foundations laid down by both our forerunners: we want to show our colors in every race, we want to pursue an attacking and attractive race strategy and represent our team partners in a positive way. In short: we want to stick to a positive race attitude", says Michael Boogerd, one of the three sport directors of Roompot-Charles Cycling Team. "We want to guide our riders as well as possible in their careers and help them realize their cycling goals. If we can let them move on to a higher level, we can take pride in that. 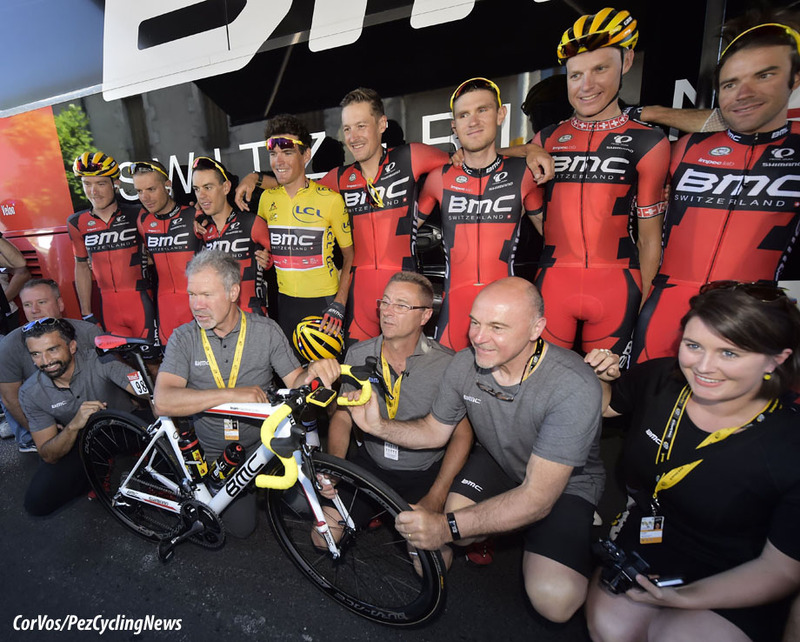 Personal development and growth as a group are important," adds sport director Erik Breukink. will be based on the results of the 2019 season. "That’s an extra challenge for our team, for which we’ll want to rack up as many points as possible throughout the year. It’s of vital importance to be among the top teams in the Europe Tour", according to Jean-Paul van Poppel, who will also be sport director next season. 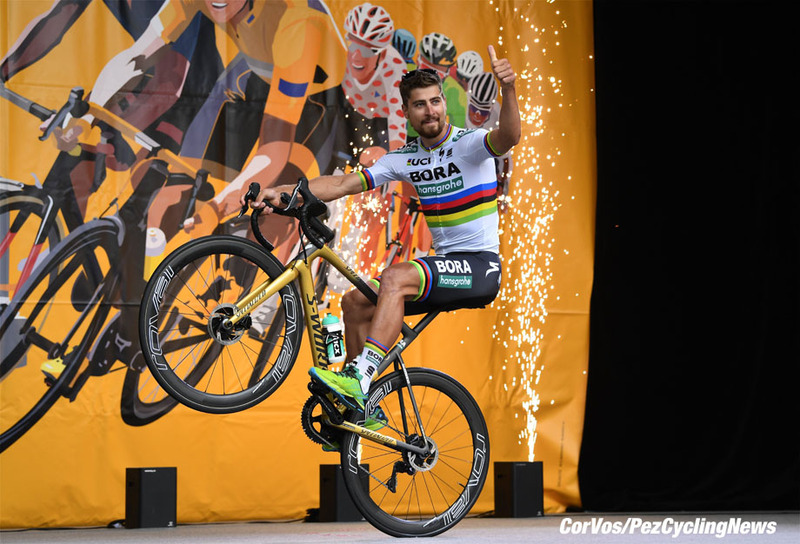 Peter Sagan's Coach: "Worlds in Yorkshire a great New Opportunity"
For Peter Sagan, Milan-San Remo, the Tour of Flanders and Paris-Roubaix are the first big goals of 2019. That is what his personal coach Patxi Vila told Tuttobiciweb. After that, the Slovak will focus on the Tour de France and the points classification for the seventh time to take the record that he now shares with Erik Zabel. "Milan-San Remo, the Tour of Flanders and Paris-Roubaix are the five-star races. The second part of the season will be focused on the Tour de France ", says Vila, who also sees opportunities for Sagan in the Yorkshire World championships. "As long as Peter races, everyone counts him among the contenders for the world title." The Slovak won the rainbow jersey in Richmond (2015), Doha (2016) and Bergen (2017), then Alejandro Valverde took over from him in Innsbruck in September. Vila: "His victories over the past years make him the champion he is today. The World Champs in England is a new big opportunity for him, we will certainly work to get him there in the best shape." In a return to the discipline that he describes as his “first love”, Zdenek Stybar will be riding a few events shortly after Christmas, starting with the Zolder World Cup, scheduled on the 26th. He will then move on to the races at Loenhout on 28th and Diegem on 30th December, followed by the Baal event on New Year’s Day. After a successful racing career that spanned 12 years and included three days in the yellow jersey at the 1996 Tour de France, Heulot ran the French Professional Continental team Sojasun from 2009 - 2013. His team participated in the Tour de France three consecutive years. Hear from Stéphane at rallyte.am/HeulotJoinsTeam. Similar to many of the other Flemish spring races, the 2019 Nokere Koerse also has a slightly different route. The Flemish semi-classic will have no less than 22 kilometers of cobbles. "In the two final loops, each time the race will cross the new cobblestone section in Lededorp", said race director Rony De Sloovere to Het Nieuwsblad. "We race past the home of Johan Museeuw to be able to get to Lededorp. As a result, the cobblestones of the Huisepontweg will be taken differently. This time they almost start from a standstill after a bend of ninety degrees." Nokere Koerse already has ten WorldTour teams on the start list, including Deceuninck - Quick-Step and Lotto Soudal. The 1.HC course starts on Wednesday, March the 20th at the Markt in Deinze. After a ride of 82 kilometers, three local laps followed by some cobblestone climbs, including seven climbs of Nokere berg. The race will also have a women's edition next year, which will be held on the same day. This year the victory in Nokere Koerse went to Fabio Jakobse. The young Dutchman took his first pro victory. The Belgian professional cycling team Wanty-Gobert develops her training pyramid. In addition to the logistical support offered to various Belgian youth clubs (RPSM Tournai, Peruwelz RVS-Bury, SCV Marchovelette VC Ardennes), the Pro Team will cooperate with the French club CC Etupes for the training of young talent. 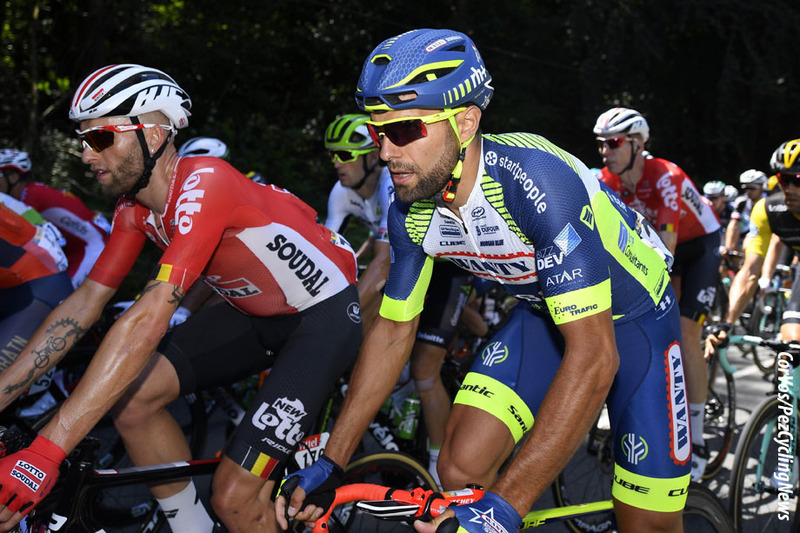 CC Etupes delivered some talents at the highest level with Thibaut Pinot, Petr Vakoč or Adam Yates, but the club also contributed to the breakthrough of Fabien Doubey and Guillaume Martin, two current riders of Wanty-Gobert. From 2019 CC Etupes will integrate the Wanty-Gobert training and talent detection network, which shares its expertise with young riders, opening the doors of professional cycling to the best riders. Note that the club will also be equipped by the German manufacturer CUBE and RITCHEY. A nice collaboration according to Jean-François Bourlart, the general manager of Wanty-Gobert, and Boris Zimine, former professional cyclist and new sports director of CC Etupes. Jean-François Bourlart (general manager Wanty-Gobert): "I am very pleased with this collaboration with CC Etupes. The contacts have been simplified by the proximity of Guillaume Martin and Fabien Doubey, two elements formed in this French club. We want to develop a real network of detection and training of talents between Belgium and France. By becoming a member of the CC Etupes club, a reference in France, we can keep an eye on the talents in France, especially in the mountain terrain that we have less in Belgium. " "I am convinced that the work of the new sports director Boris Zimin will strengthen our workforce at the end of 2019. In addition to our material support, we can also promote the training of Belgian talent by offering them a richer competition program, for example passing through the Alps before their pro transition. We want to have the most efficient cyclists of CC Etupes test their skills at Wanty-Gobert, through a training camp at the end of the summer, or why not even a first professional contract in the autumn." Boris Zimine (sports director CC Etupes): "This is a great opportunity for CC Etupes. Amateur cycling is struggling and support of a structure such as Wanty-Gobert blows a breath of fresh air through our ranks. The mission of Etupes is to train riders to succeed at the highest level. In this sense the collaboration with Wanty-Gobert offers real added value. We will benefit from more resources than before, so we want to do better. This will enable us to internationalize by riding on two fronts with more races in Belgium." "2019 is going to be a transition year for CC Etupes. I am a new sports director and I am signing up for a new project: we start the season with twelve riders and a mountain biker as reinforcement. We work with many young people to help them from their first year as a U23 rider. Our riders do not serve as a springboard for a single season. I hope my riders will show that they deserve their place at Wanty-Groupe Gobert. I want to be able to deliver the new Guillaume Martin or Fabien Doubey in the medium range term!" The Four Days of Dunkirk has six stages again in 2019. The organizers of the French 2.HC stage race have revealed the stage details of the next edition run in May. The Mont Cassel will once again play a key role in the battle for the final classification. The climb will be decisive on the penultimate stage, which consists of eight final laps of 15 kilometers. On each lap the race climbs the 176 meter climb of Cassel. Stage 6: Roubaix-Dunkerque (174,1 km). Mikel Landa - Giro/Tour Double? Mikel Landa wants to ride both the Giro d'Italia and the Tour de France in 2019, the Spanish climber told sportspaper AS. "I will talk to team manager Eusebio Unzué about it, and then we'll see further." 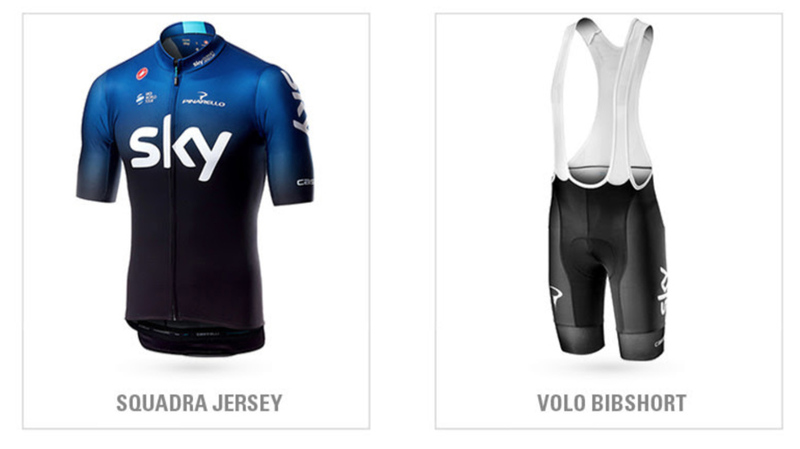 Previously, Landa had announced that he would like to start in the Tour, but he does not exclude a Giro participation. "I just have to be at the start of the Tour. But I do not see a double Giro/Tour as something impossible. Do not forget that my season was already over by August." 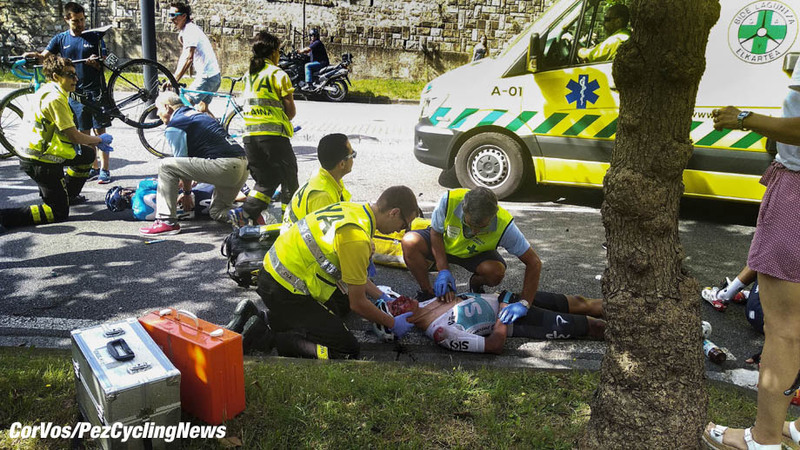 Landa crashed in the Clasica Ciclista San Sebastian. 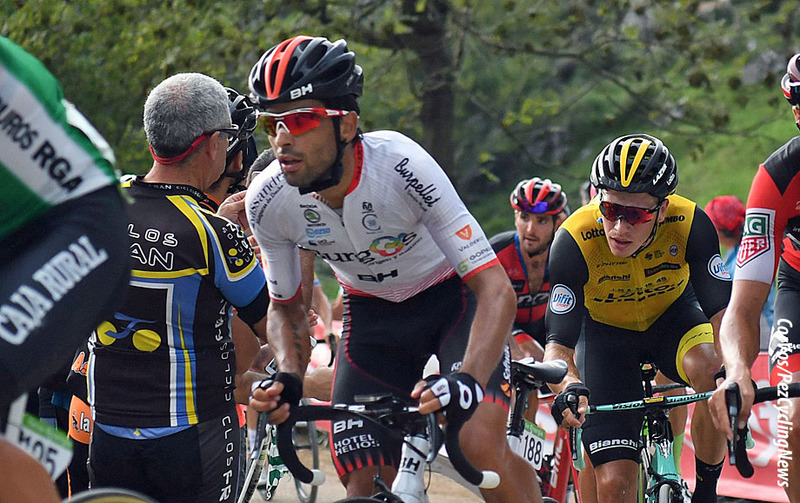 The 28-year-old Basque rider wants to challenge both Grand Tours and is not afraid of the effort needed: "This year we also had a heavy Giro, and yet some riders also managed to perform well in the Tour," Tom Dumoulin and Chris Froome. The question is, will team boss Unzué agrees to his plans? Movistar has already said that World champion Alejandro Valverde will be at the Giro and Nairo Quintana, the Tour. We should know more after Movistar launch the men's and women's Movistar teams for 2019 on Tuesday, 18th December in Madrid. 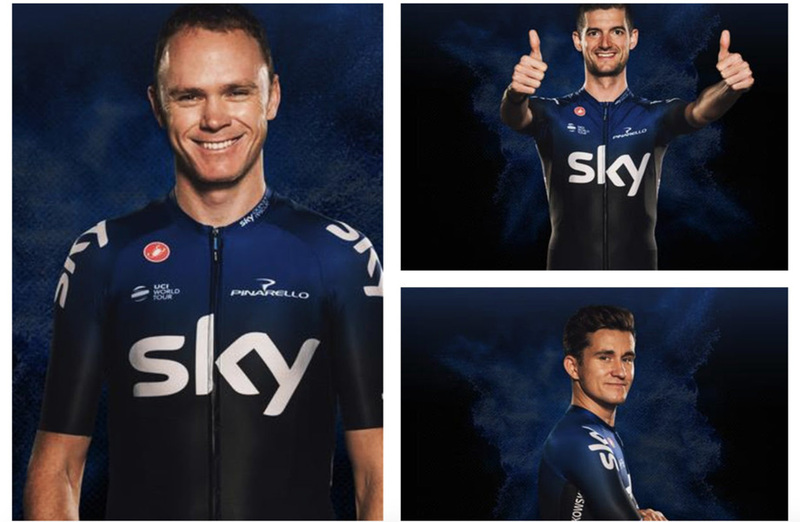 Team Sky and Castelli today unveiled the new kit for the 2019 season and revealed a return to black for the team’s tenth year in the peloton. The kit incorporates a blue to black gradient, with the blue being inspired by the team’s commitment to Sky Ocean Rescue (SOR). Team Sky Principal Sir Dave Brailsford said: "We’ve enjoyed another fantastic year of collaboration with Castelli and are delighted with our new look for 2019." "Castelli share our attitude and outlook in their approach to research and development and we have been continually impressed by their pioneering work from the moment our relationship started. They have played a major role in our success over the past two seasons and are a big part of Team Sky." "This year’s jersey is a special one for the team as we enter our tenth year on the road. 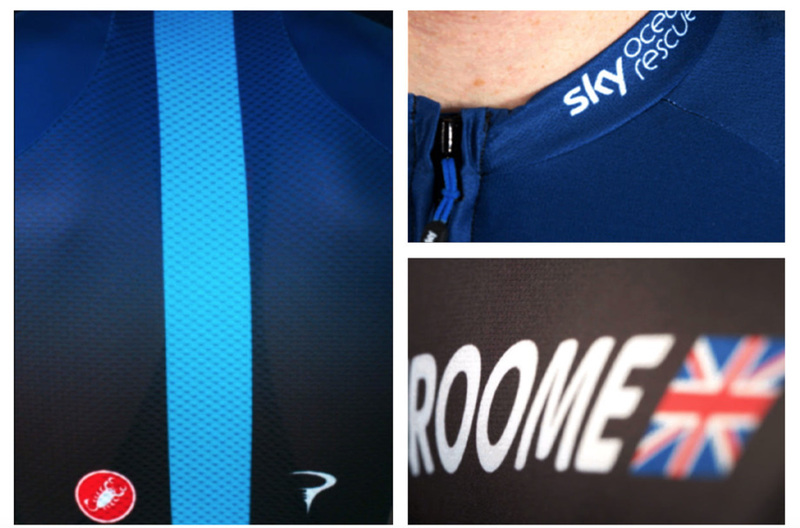 The design is befitting of that landmark and we believe this year's kit will be our best performing yet." 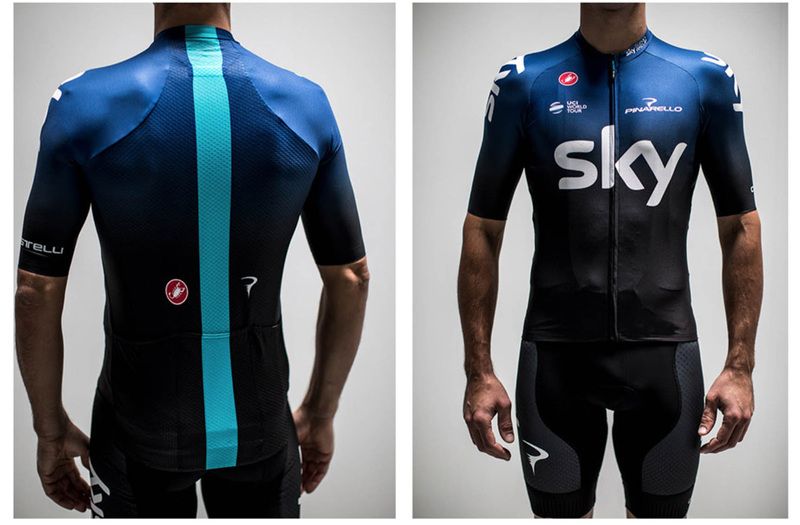 Steve Smith, Castelli Brand Manager, "Not only does the new kit look great, but we’re confident it will be the best performing Team Sky kit yet. The sixth generation of Castelli aero jerseys are more aerodynamic than ever before, as well as being lighter and more comfortable." Smith added: "Team Sky’s staff and riders provide us with valuable feedback which we use to continuously improve our products. This is vital for Castelli because most of the Team Sky products end up in our Castelli collection, so we’re happy to incorporate Team Sky’s expertise to make cycling faster and more enjoyable for cyclists everywhere." 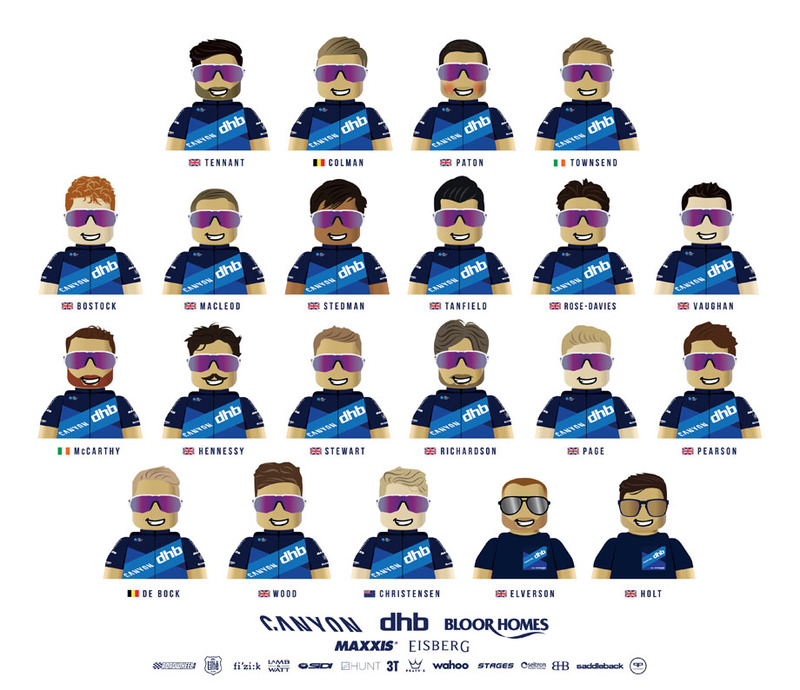 Tim Elverson has unveiled a 19-man squad to do battle in the colors of Canyon DHB p/b Bloor Homes next season. Re-signing are Andrew Tennant, Max Stedman, Charlie Tanfield, Alex Paton, Rory Townsend, Ryan Christensen, Charles Page and Louis Rose-Davies. Elverson said: "I’m very pleased with the team we have signed. It’s a big squad but that is intentional as we will be running a split calendar, racing both at home and on the continent. I’ve been able to bring in some exciting young guys and some race-winning experience to enhance them. The average age is just above 23, so continues the process of developing young talent, which is very important to me." Elverson’s decision to recruit two Belgian riders may come as a surprise to some but he believes they will add an extra dimension to his team, especially with an increasing European program. He added: "We have raced a lot on the continent in the past couple of years. I like the Belgian and Dutch style of racer and that is generally how I set my team up. I thought it was worth a look. I wasn’t going to go just based on CVs. I wanted to wait until I got to know people, saw them race and was happy they fit. I like the attitude of Stijn and Alex. They will really suit our program. It is easier, in a way, to leave riders in Belgium and come back for the big British races. I still want our development riders to primarily be British because that is what it is all about - bringing on young UK talent. But they need to have their eyes opened to lots of different styles, so having Belgian riders in the team will do nothing but help them." 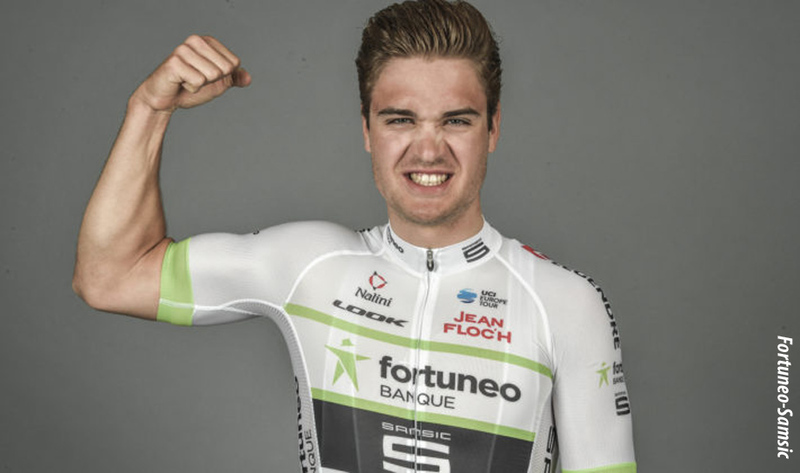 Dutch fast-man, Bram Welten, has extended his contract with Fortuneo-Samsic for the next two season. His team manager Emmanuel Hubert said to Le Télegramme: "We believe in him." Welten moved to Fortuneo at the end of 2017, after riding for the BMC development team for two years and as stagieire for the BMC WorldTour team. In 2017 he won a stage in Le Tour de Bretagne and the Grand Prix Criquielion. In 2018 the 21-year old Welten finished fifteen times in the first ten, including 4th in Paris-Bourges, 5th in the Championship of Flanders and 9th in the Scheldeprijs. Hubert added: "He has already shown beautiful things this season. We therefore believe in him." Welten is now under contract until the end of 2020, alongside André Greipel and Warren Barguil, which will be called Arkéa-Samsic in 2019. Andrea Pasqualon was one of the revelations of the cycling season with victories in the Tour of Luxembourg and the Grand Prix de Plumelec-Morbihan and six top ten places in the Tour de France. The Italian from Wanty-Groupe Gobert hopes to do better next season, and preferably in the Giro d'Italia. "We won the UCI Europe Tour three years in a row as a team, so I hope they will look a bit closer at us in Italy. Next year I want to ride the Giro in the Wanty outfit", the Italian told Inbici. "Why have we not yet been given the opportunity to drive the Giro d'Italia, Milan-San Remo or Tirreno-Adriatico as a team", the Italian asks. "In the past we have offered opportunities to several Italian riders, such as Marco Marcato, Enrico Gasparotto, Danilo Napolitano and Simone Antonini." 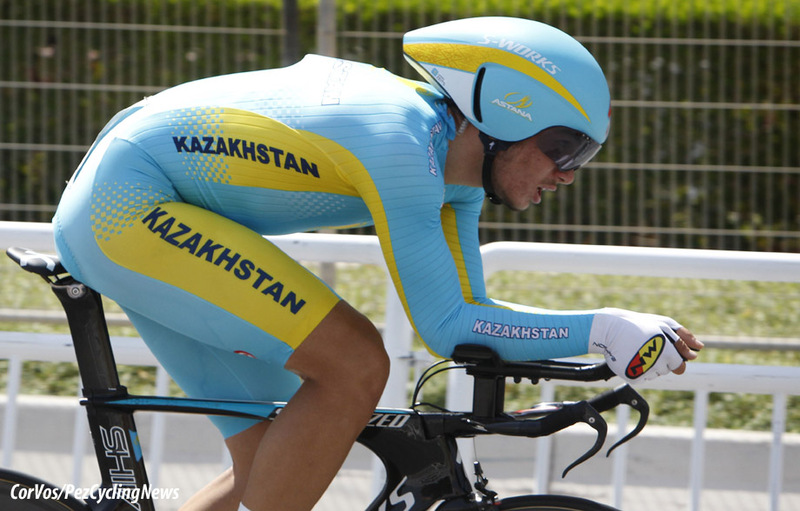 Young Kazakh rider, Ilya Gorbushin, has been suspended for two years by the his countries Anti-Doping Tribunal for failing to fill in his whereabouts, according to Italian website cyclingpro.net. Gorbushin failed to fill in his whereabouts via the ADAMS online administration system, the system that World Anti-Doping Agency (WADA) has been using for several years. In addition to supplying whereabouts, the system also processes results from doping controls and issued medical dispensations. Gorbushin is suspended until September 15, 2020. 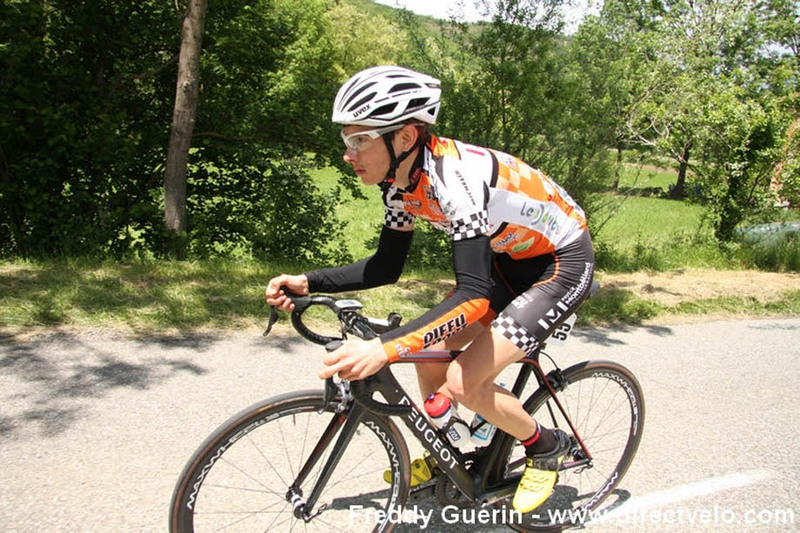 Gorbushin raced this season for the continental Apple team and in 2016 won the mountains classification in the Giro della Lunigiana. He was also fourth in the Trophée Centre Morbihan the same year. 3rd Il Lombardia: Dylan Teuns. Leader in the travel and tourism sector, Gruppo Uvet joins the Fundación Alberto Contador project. The Italian firm based in Milano joins as a new sponsor of its different sports structures, with the continental Kometa Cycling Team at the forefront. An agreement that was unveiled this Wednesday during the BizTravelForum 2018, the reference event in Italy on everything related to mobility and tourism that has been organized by Uvet Group for sixteen years. 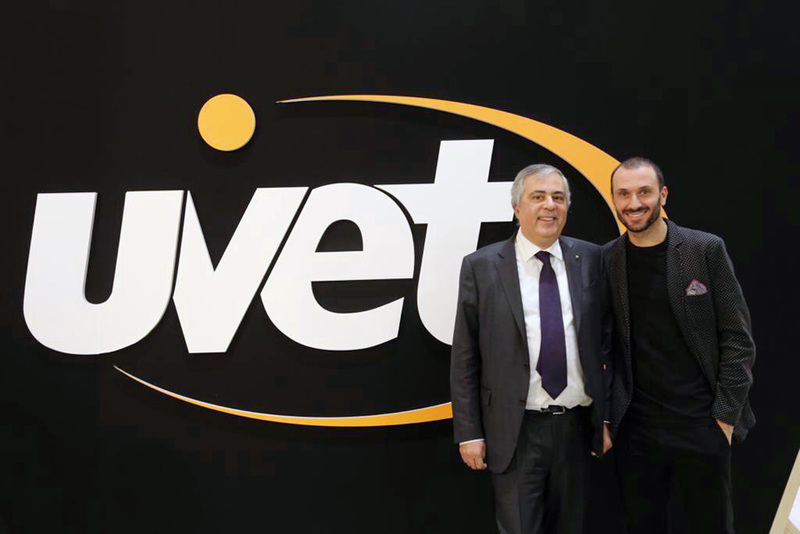 Created in 1950 by Francesco Patanè, Uvet is one of the leading providers of services and solutions for business travel, congress organization and mobility plans. Open Travel Network, Settemari, Last Minute Tour, Ufleet-TKT or Uvet Global Business Travel are some of the companies that form part of this transalpine business conglomerate that employs more than a thousand people and that in 2017 had a turnover of more than 2,900 million euros. 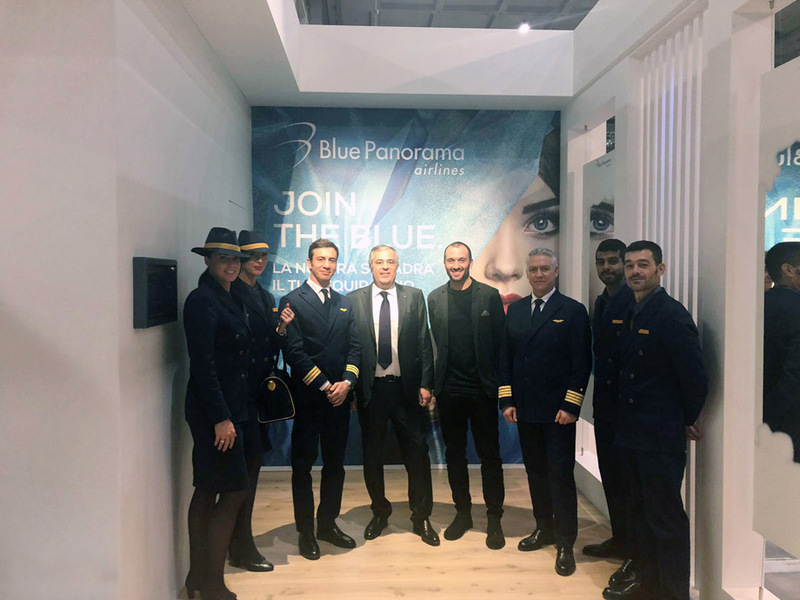 Since December 2017, Uvet has owned 100% of the Italian Blue Panorama, an airline with a strong presence in the Italian, Albanian and Greek markets that also operates routes to Mexico, Cuba, Dominican Republic, Jamaica, Antigua, Cape Verde, Tanzania and Kenya. "The first time I met Dr. Patanè, two years ago, I had the impression that I was in front of a brilliant person, with a very clear vision of the future, of the evolution of society and of the world itself," says Ivan Basso, sports manager of Kometa Cycling Team. "At that time he already liked what was then a mere cycling project, without the concreteness he has now. In these two years this harmony has been consolidated and with a view to 2019 has decided to enter a very prominent in the team. One of the most beautiful things about this joint venture is that everyone in their field, in business and sports, we share this vision of the future. He is more than a sponsor." "It is a pleasure for us to announce our arrival at the Kometa Cycling Team project. First of all because we share many values. 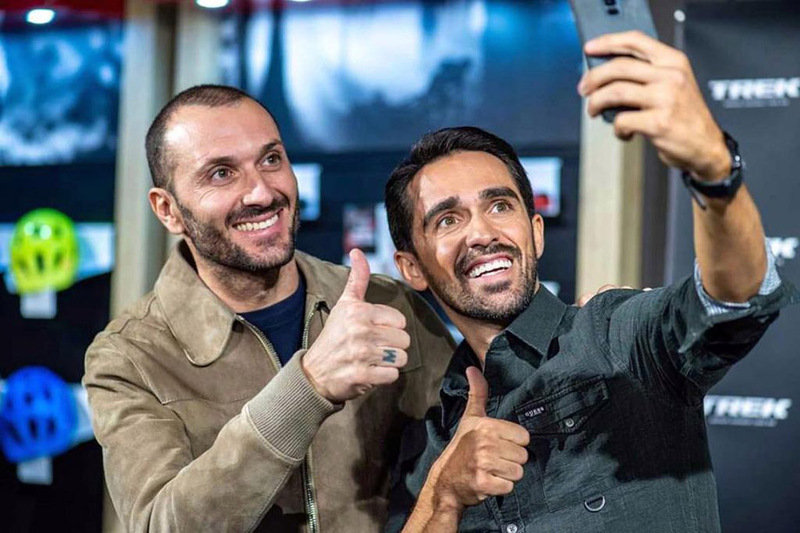 But also for the fact of working with a person of the human quality of Ivan Basso, with whom I maintain a great relationship and share a passion for this sport," says Luca Patanè, president of Gruppo Uvet. 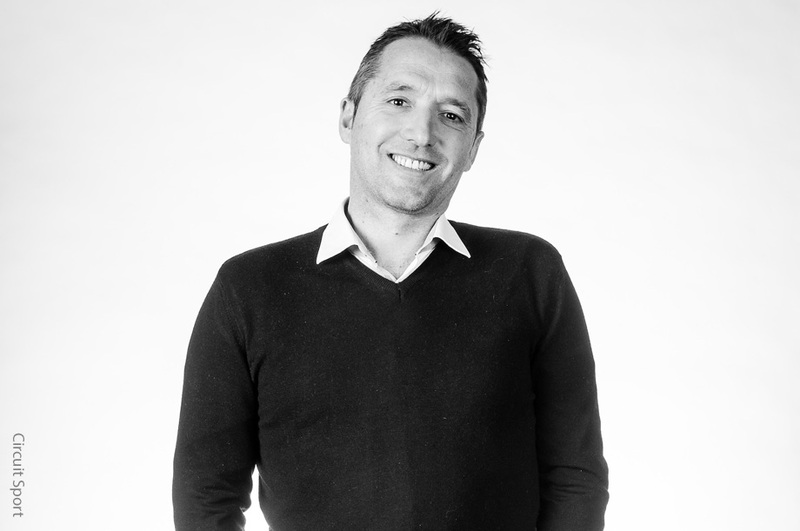 "The incorporation of Gruppo Uvet reinforces the solidity of this project and will allow us to continue progressing in the path of growth that we would like to one day end up taking us to the continental professional category," says Francisco Javier Contador, general manager of the Foundation.